Enhancing the patio, backyard or deck has been a growing trend in home improvement over the past few years. Improvements make the backyard more enjoyable for homeowners while adding value to the home. All signs indicate that outdoor living will continue to grow in popularity as families continue to seek ways to bring the comfort and function of indoors outside. Composite –Composite is made up of 100% resin, and at one time was just Adirondack Chairs. Today, Composite is everything from Adirondacks to dining to cushioned deep seating and chaise lounges. This trend is one of the fastest growing in the U.S. Most manufacturers are offering warranties of 20 years minimum. At the Beach, Composite can be the most practical choice, while their wood counter parts often last only a few years in harsh coastal environments before needing repainting. At Bay Breeze Patio, we stock three manufacturers in composite and they produce 52 different colors among them. With warranties from 20 years to lifetime, Composite can make life even easier on the coast. Teak is back with a vengeance. Teak was almost dormant but it is back. Straight Teak, Teak mixed with Sling Fabric, Teak Accents on Aluminum or Outdoor Wicker — it does not matter. Teak that is harvested the right way – from FSC forests – is making its way into all kinds of furniture manufacturers. While Teak still requires a lot of work to keep its natural color, it speaks to the organic trends that are so prevalent today. Mixed Media – Combining materials has been an ongoing trend for a few years. 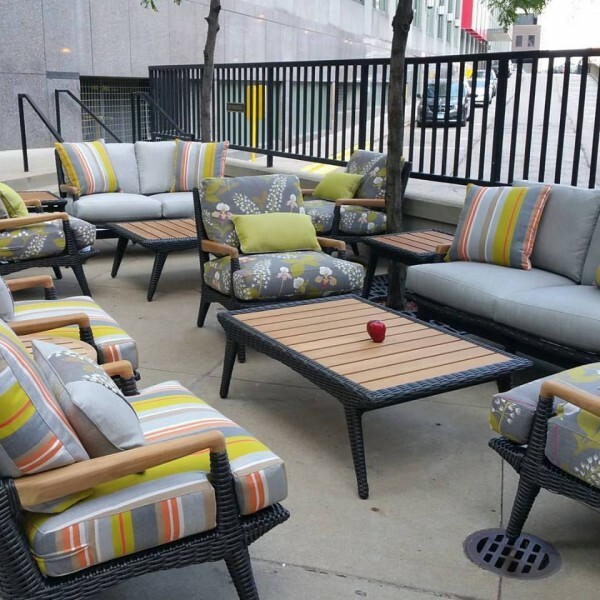 Whether it’s combining outdoor wicker with wood, cast aluminum with wicker, composite with sling, or brushed stainless steel with wood, the options are endless. There are many ways to combine materials to take a piece of furniture and achieve many different looks and styles. Fully-upholstered furniture for the outdoors was soaring a few years back and has slowed due to the maintenance involved in keeping the fabric clean outdoors. This year’s trend is embracing upholstered furniture mixed with other materials to accomplish an organic feel with less work. Sectionals – Sectionals started trending about five years ago but have really come into their own in the last two years. Every manufacturer we work with has found a way to turn existing lines into sectional lines. Sectionals are all about space and coziness. 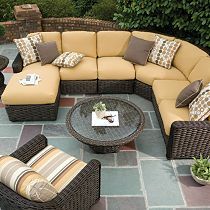 While Outdoor Wicker is the material of choice, we are starting to see more aluminum, wood and composite sectionals. Sectionals provide the ultimate gathering spot. Outdoor Kitchens – In most of the country homeowners can only dream of a fabulous outdoor kitchen. On the Emerald Coast, it is a reality. The trend is to build bigger and better outdoor kitchens and the outdoor appliance manufacturers are making it easier and more hassle free. Outdoor Appliances have to be built – just like outdoor furniture – to hold up to the harsh elements of a coastal environment. A Grill is just the beginning of an outdoor kitchen. Burners, Refrigerators, Kegerators, Ice Machines, Dish Washers, Pizza Ovens, Teppanyaki Griddles, Fire Places and Fire Pits built around a variety of cabinetry choices allow homeowners to customize and personalize, creating the dream outdoor kitchen for your family. Our team of outdoor living experts is ready to assist you in finding the perfect mix of outdoor furniture and accessories to create your dream outdoor living space. While it is helpful to begin your research online, we highly recommend purchasing local. Here’s why… You will want to work with local experts who understand the benefits and pitfalls of each brand and how it performs in harsh coastal conditions before making a purchase. In addition, once your products arrive, you’ll want a team of professionals to assemble your purchases and deliver them to your backyard. Finally, if you have any issues with your purchase, you’ll benefit from the local support and assistance in making warranty claims or repairs. 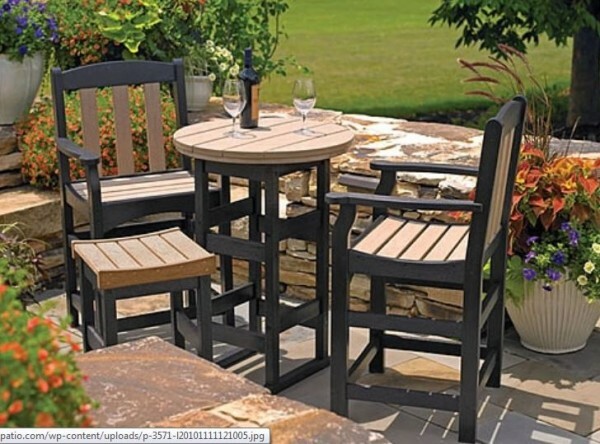 At Bay Breeze Patio, we represent premium brands that offer a minimum five-year warranty and are known for durability and comfort. We invite you call us (850-269-4666) or visit our store in Miramar Beach (one mile west of Silver Sands Premium Outlets) to explore the possibilities and create your dream backyard or outdoor kitchen.